The wheels of our safari van spun deeper into the mud. Truly stuck this time on the African plains of the Maasai Mara game reserve, we had to get out and push while keeping an eye on two male lions about 30 yards away. My boots disappeared into the muck, only releasing with a suctioned slurp on the third try. 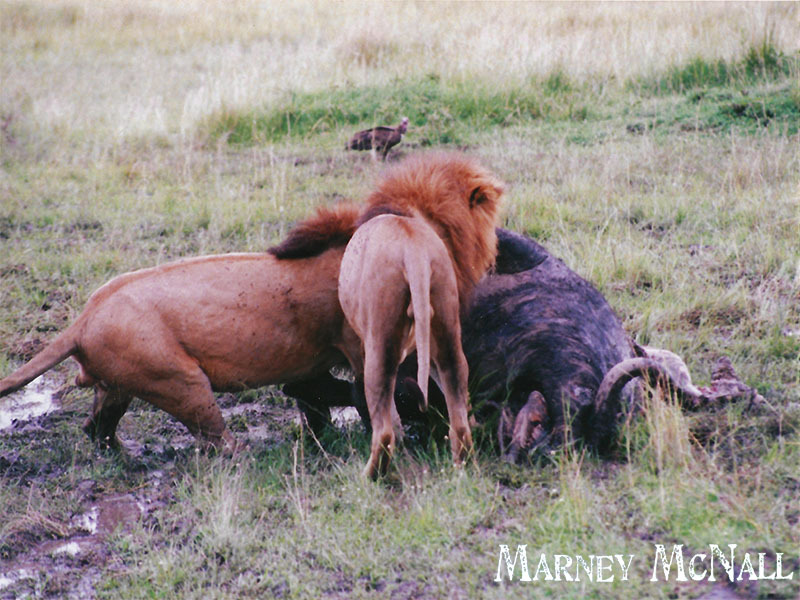 Looking over my shoulder, I kept tabs on the lions as they devoured their kill provided involuntarily by a water buffalo. The first time, we’d gotten stuck near a river where crocodiles lounged and hippos swam. But we’d been high enough above the steep riverbank to feel safe—until our guide Danny told us hippos were one of the most dangerous animals out there. Despite looking like walking propane tanks, they could run up to 19 miles/hour, their docile-looking dinky ears and stubby legs, a misnomer. That first time, as the van had skidded its way out of the quagmire by the river, Danny had explained the hippos’ mating ritual, how the female started taking a dump while twirling her little tail like a propeller, spraying it all over the male’s face. That meant he was the one. I thought he was joking. But no. …Which effectively knocked the male lion’s ritual of biting the female’s head, down one peg on the scale of bizarre. When we were close to the lions with their kill though, Danny did not speak; he told no stories. He kept his panga machete nearby. A lion looked our way once, its muzzle dark with blood, and that was enough to shoot raging adrenaline through us and get that van moving pronto. 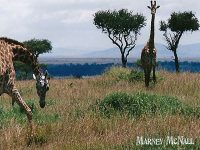 These were wild animals, something nobody should forget while on safari. 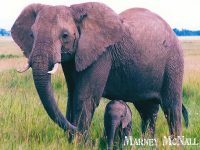 That was to be our last game drive. But not our last adventure. If you like these travel journals, please consider sharing on your favorite social networks.